Another healthy school snack for short break . My Kids love corn flakes with milk any time , but sometimes when we are on move i prefer to give them dry version of corn flakes . 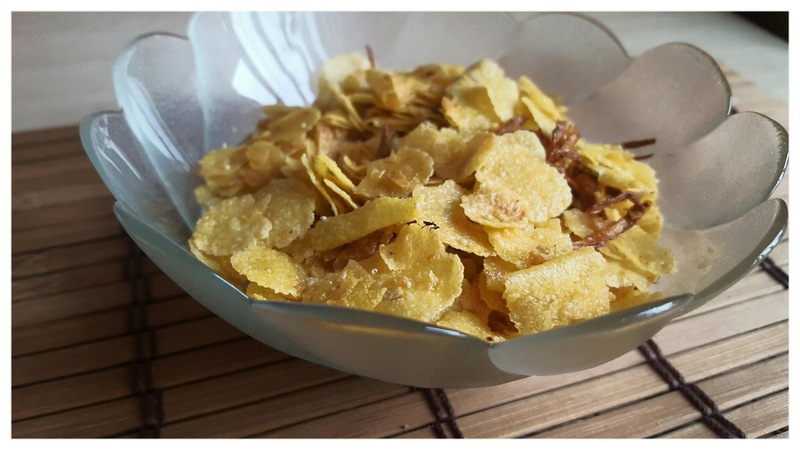 Mostly either sugar frosted or chocos or salty corn flakes .These corn flakes are so tasty even adults can enjoy at tea time . 1. Take large pan , and heat oil . 2. Fry onions and chillies in batches to make them crisp light brown or slightly dark brown . Keep them separate or with last batch fry cumin seeds and poppy seeds with peanuts . 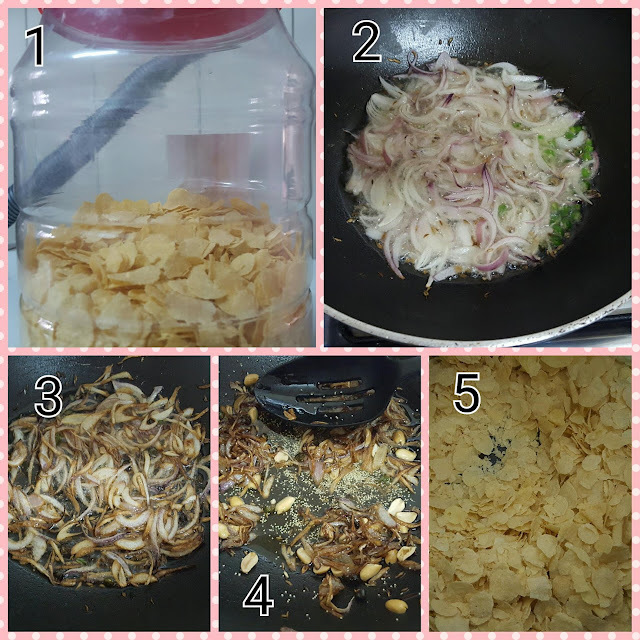 You must put salt enough for onions you are frying in batches . 3. Turn off heat . 4. In separate large pan dry roast corn flakes for a while untill they get slightly light brown . 5. Let everything get cool . 6. Now mix everything . 7. And you are good to go . You can keep these corn flakes for a month or so in air tight container and use them .